Peak load, and burst-y traffic are problem spaces which are often (and tragically) confused for each other, invariably to the detriment of both ops and users. While peak-load is all about capacity management, in a burst-y situation, you might have to prioritize – or even drop! – requests. Knowing which requests to process, and how to actually process them is the world of Active Queue Management (AQM). While AQM has long been exclusively in the domain of the TCP/IP crowd, it has been slowly making its way into the world of cloud-services, albeit with much (faulty!) wheel-reinventing. Join me as I take you through a whirlwind tour of AQM, with – I promise – much more Erlang and much less TCP/IP. Talk objectives: Dealing with burst-y traffic isn’t just about putting in queues, its about being able to deal with scenarios where your queue isn’t big enough or fast enough. Target audience: Anyone with customers – in particular, customers whose data-access spans the gamut from real-time to highly asynchronous. Mahesh Paolini-Subramanya is a V.P. 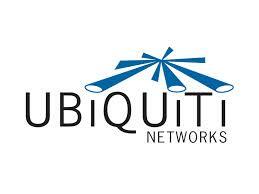 of R&D at Ubiquiti Networks - a manufacturer of disruptive technology platforms for emerging markets. 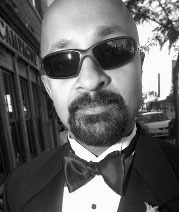 He has been involved in ‘Internet Stuff’ since Day Zero (remember Gopher? ), and has spent the recent past building out Erlang-based massively concurrent Cloud Services and VoIP platforms. S**t happens – Are you Prepared?